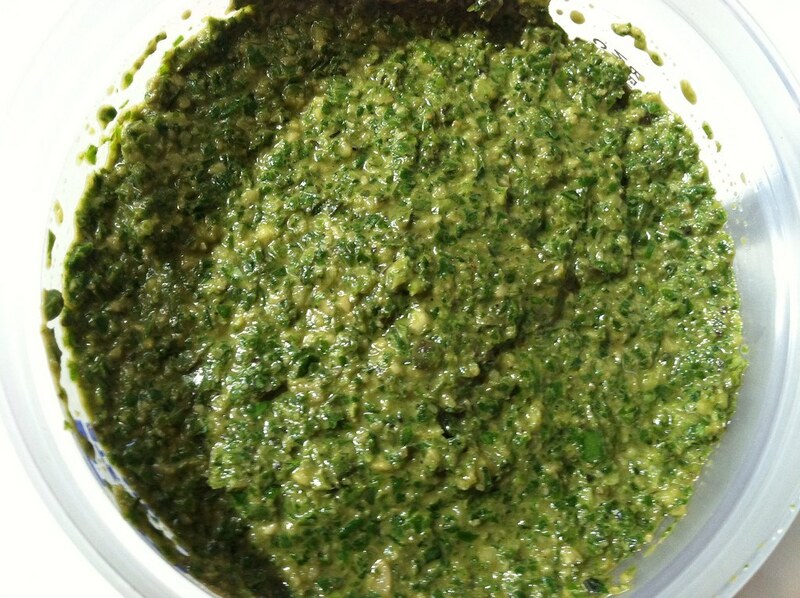 CSA #11 – brunchwich and pesto – ugly food tastes better. 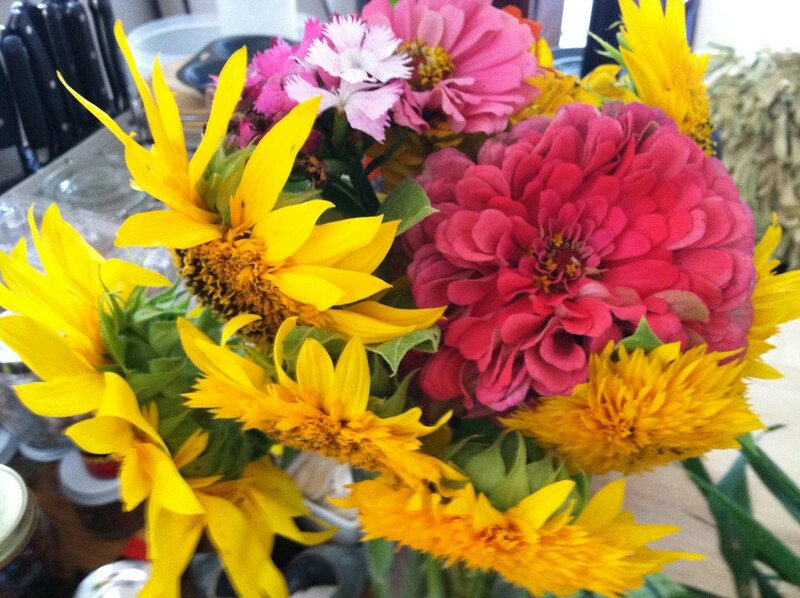 Flower share: sunflowers, celosia, cleome, etc. 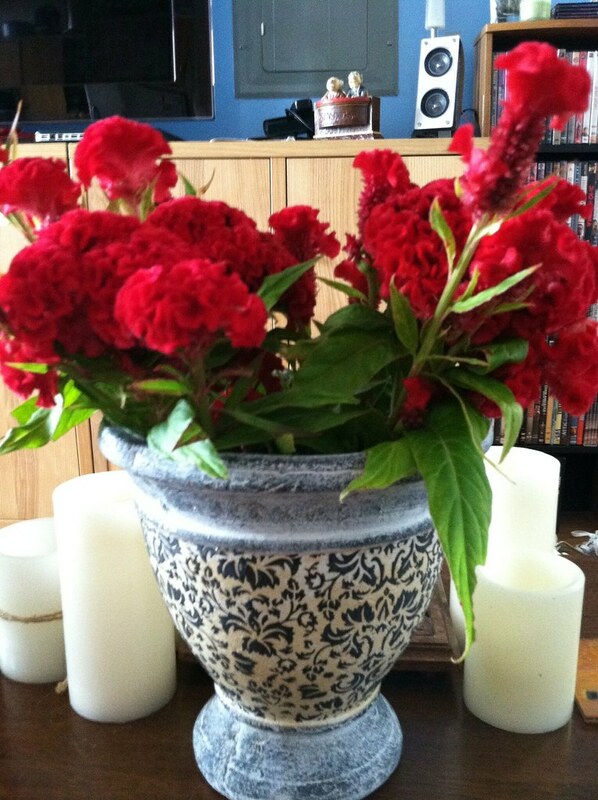 Also picked up a bunch of celosia/cockscomb to make up for the week before last’s missing bunch. And because I have decided that they are the best flower EVER and I can’t wait to dry them and have them forever. After CSA pickup I walked through through the farmer’s market, my usual Red Jacket juice in hand (today I had strawberry apple.) and DiPaolo Farms was giving out samples of their sage and maple turkey breakfast sausage patties, and they were incredible. I picked up 4 of those babies as well as a coil of their turkey zucchini sausage for later in the week, and then headed to Baker’s Bounty to pick up some challah buns, then headed home to make my friend and I an awesome brunchwich. 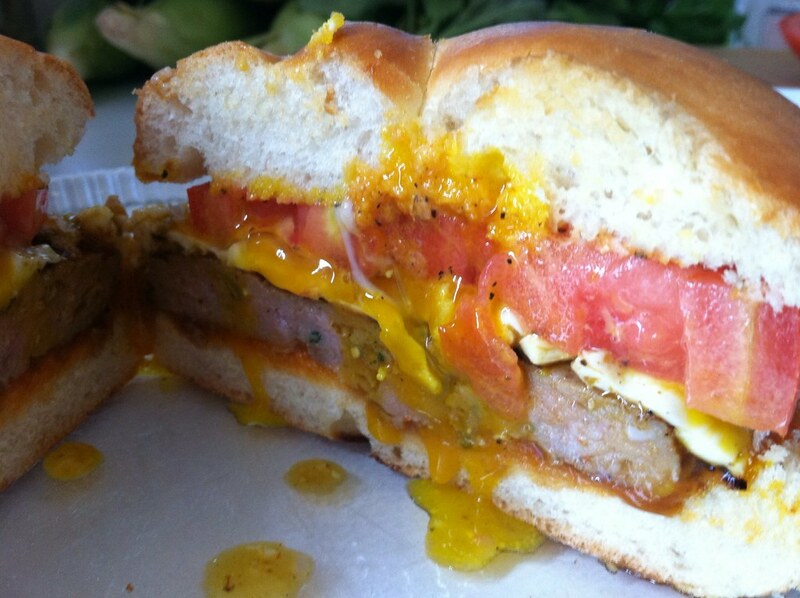 I toasted the challah and smeared the bottom with some of my Cockonut Sauce and then kissed it with the top bun, placed a turkey sausage patty on top, then a fried egg with black pepper, and then a huge slab of CSA tomato and more black pepper. 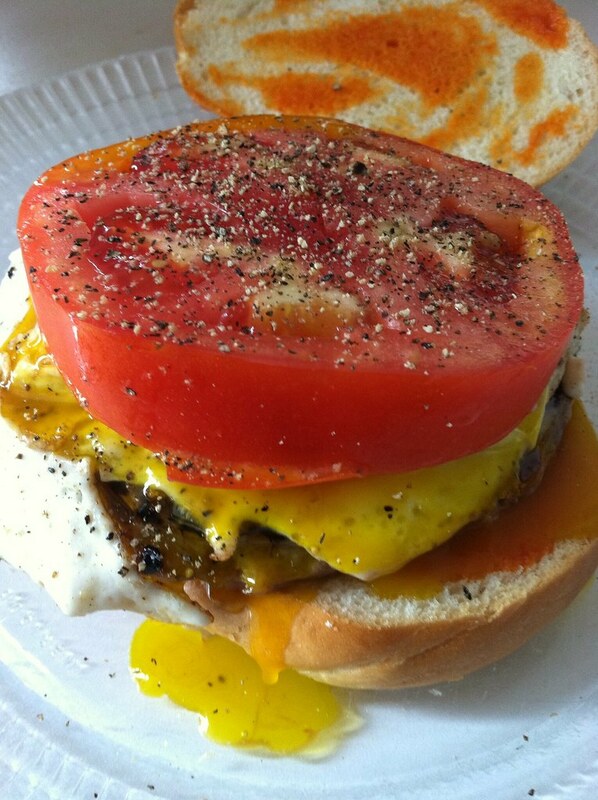 I love tomato sammiches this time of year, and these are too good! After breakfast I tended the sad, bitter basil we got today. I feel so bad for the farmers this year, the weather has been so unpredictable. 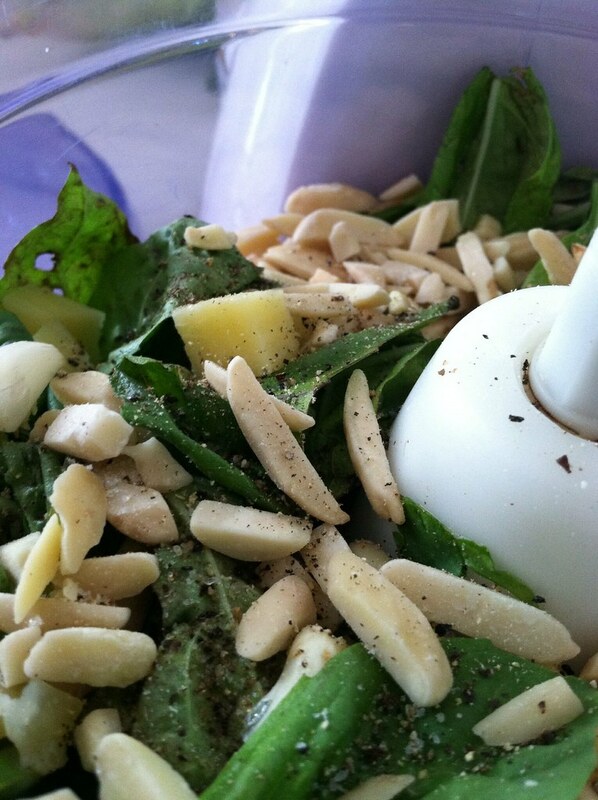 I could tell we got a ton of extra basil today because it had simply gotten too hot, and it was already very wilt and sad looking, so I tried to salvage it by immediately washing it and making some pesto with almond slivers and parmesan. Its a little bitter, but not too bad! 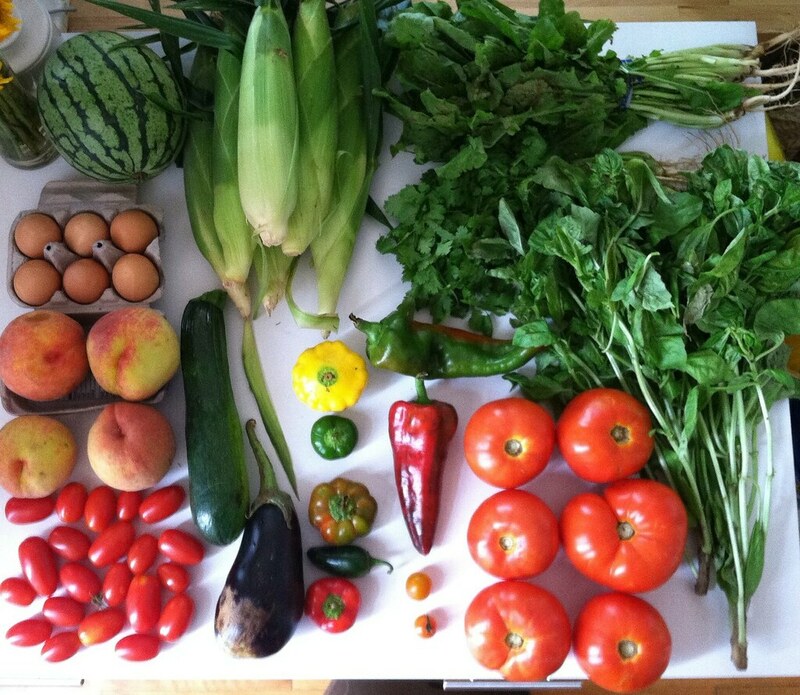 Now I am looking forward to doing something special with all those pretty peppers! And I’m also plotting a moussaka for this week. Mmmmmmm can’t wait!